Jeep is the name which everyone associates with the capable SUV making company. And true to its name, Jeep has given some excellent SUVs like Grand Cherokee & Cherokee which are much easy for daily drive and then there is Wrangler. This SUV is something which will give goosebumps to the serious off-roaders with its capabilities and tech but for daily duties, this is not practical. The 2018 model gets an upgraded 3.6-liter V6 which is capable of putting on tap 285-hp & 260 lb.-ft of torque, and the shoppers have the option of choosing 6-speed manual or 8-speed automatic. A mild-hybrid 2-liter inline four with 270-hp & 295lb.ft with start/stop function is optional & it’s exclusively mated to 8-speed automatic. A 3.0-liter V6 diesel with turbocharger with 260 hp and 442 lb.-ft is in the line-up for the near future and will be paired exclusively with the eight-speed automatic. EPA fuel economy ratings for the 3.6-liter V-6-equipped four-door Unlimited models are 17/23 mpg city/highway with the manual and 18/23 mpg for the automatic. The Wrangler is a very capable machine when it comes to off-road prowess. But the ladder frame, solid axle suspension and old-school steering it uses, is something which deprives this car for the daily duty usability. While there are much of the SUV’s in this price range are spacious than the Wrangler, but the wrangler is some of the cars which is a true specimen of those cars which provides a blend of the vintage & modern era of the lineage. This SUV gives you a commanding view – be it road or trail. But what’s bad are the thick roof pillars which will impact the rear-view ability. A Wrangler can be equipped with either of the two – the essentials or with modern infotainment things. Its infotainment interface—known as Uconnect—is easy to use, quick to respond, and can be displayed on a touchscreen available in three different sizes. Apple Car Play, Android Auto, navigation and a nine-speaker Alpine stereo system are optional. 2018 Jeep Wrangler is a no change machine in terms of its design and has kept its lineage from the WW-2 jeeps. Same rectangle nose, round headlamps & upright windscreen and this is how this iconic jeep wrangler needs to be. Its design is timeless and still collecting the appreciation of the crowd. And to capitalize on this 2018 jeep wrangler colors gets 10 different shades which will only enhance the looks of this much capable SUV. Jeep Wrangler has not been tested yet by any of the safety organization. Jeep doesn’t offer a lot of safety features like blind-spot monitoring, rear cross-traffic alert & rear parking sensors and does have some optional active-safety features too but none of the high-tech equipment that we expect to see on vehicles with price tags stretching into the $40,000 – $50,000 ranges. Although it may not look like it, everything about the Wrangler is all new for 2018, Designed to honor the Wrangler’s ancestry and off-road capability while also improving passenger space, comfort, and on-road performance, the JL is much improved compared with the JK. 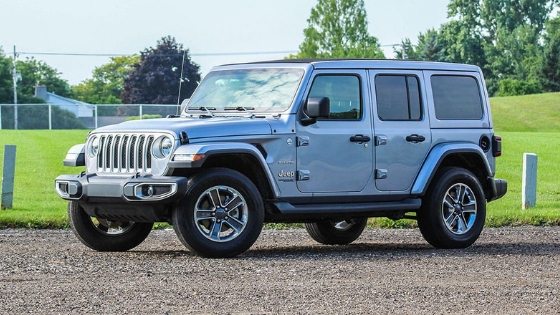 If you want an off-roading SUV with capable engines and ample cargo space, then the Wrangler is for you.